Richard Corder currently serves as Managing Director with TiER1 Healthcare, a division of TiER1 Performance, where he partners to activate the potential of healthcare organizations through people. This fosters cultures that allow leaders and their teams to craft, lead, and sustain organizational systems that generate improved results for caregivers, patients, their families, and the organization. A former senior leader in the luxury hotel industry, Richard sees healthcare organizations through a unique lens. His love for operations, combined with his experience managing, mentoring, and coaching forge the foundation of his belief that improvement is achieved through personal accountability. He has a strong track record of implementing positive change through practical leader-led coaching, a mind-set of personal accountability and a drive for clarity. Previously on the leadership teams of Wellesley Partners and CRICO Strategies, the risk management and patient safety organization affiliated with the Harvard Medical School institutions, Richard wields over 25 years of hands-on experience. 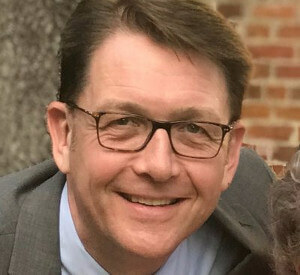 He has held operational roles at both academic and community hospitals, including a role as the Senior Director of Service Excellence at Massachusetts General Hospital. A frequent national and international speaker, Richard is passionate about personally accountable leadership, improving the patient and provider experience, and above all, creating an environment where people are empowered to create a safe and accountable patient-centric organizational culture.